Written for anyone who suffers from “time famine”, this essential handbook provides simple, effective methods for successfully taking control of one’s hours–and one’s life. 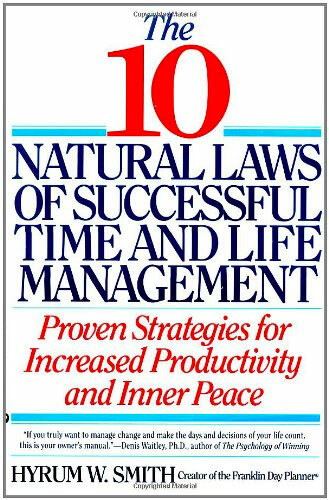 Smith shows how, by managing time better, anyone can lead a happier, more confident and fulfilled life. I’m not sure why this book isn’t more popular. It’s a quick read and it’s full of awesome information. They are a bit “salesy” for their planner, but once you get past that, it’t a great read. The process of defining your governing values and living by them makes a lot of sense, and it’s a fun, eye opening exercise. Take a few hours to read or listen to this one.